I’m pretty excited for this post today. Not only do I have a ridiculous treat for you (that I made MONTHS ago and am just now sharing with you – I’m sorry), but I also have my first giveaway on the blog today! So first of all, this treat. It’s amazing. Oreo stuffed peanut butter cups. Yes. Of course, I did just share pretzel peanut butter eggs a couple of weeks ago. I realize this. But these are peanut butter cups. With oreos. And I just couldn’t wait any longer. Besides, one can never have enough options when it comes to peanut butter and chocolate. Am I right? Now I was told when I made these that oreos don’t belong in peanut butter cups. A certain someone here said that vanilla and peanut butter don’t belong together, but then we’ve established that he prefers his favourites to not be messed with. I, on the other hand, like messing with the usual recipes sometimes. It’s kind of fun. Peanut butter and chocolate are awesome together, so are chocolate and vanilla, so why not peanut butter, chocolate and vanilla? There is no reason why not. It’s awesome. Just trust me on this. And really? 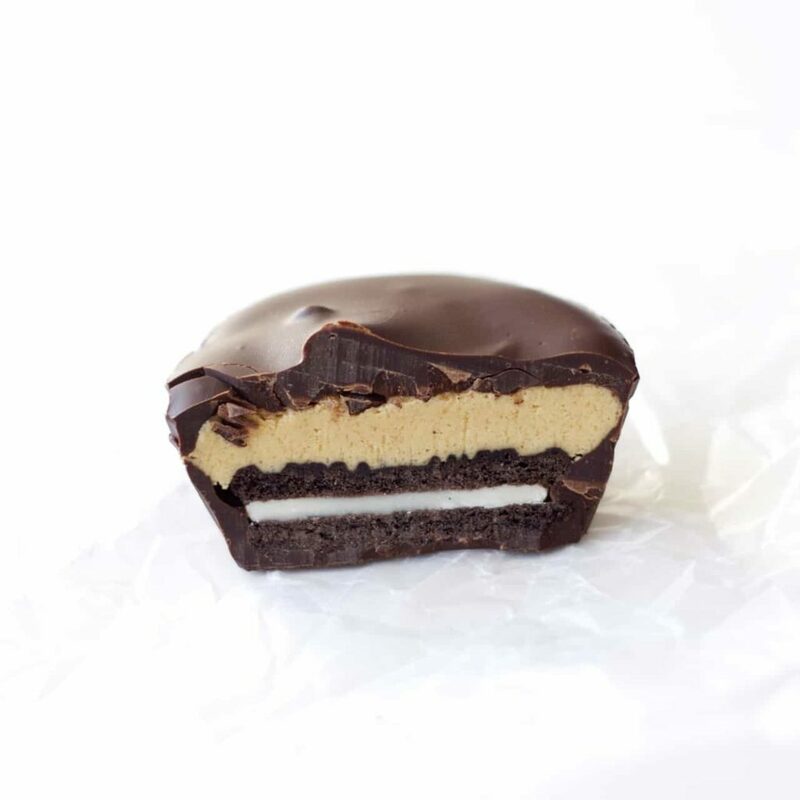 Anytime you’re stuffing an oreo into anything, let alone a peanut butter cup, how can it be bad? It can’t. That’s all. 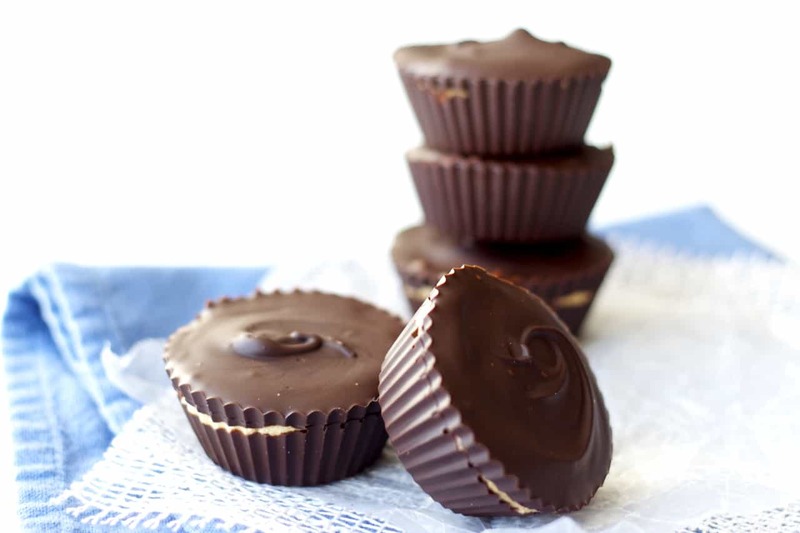 Oreo stuffed peanut butter cups should have been a thing a long time ago (oh wait, they were – I mean I need to make them again!) because they’re amazing. And the kids agreed with me, so I win. Also, I didn’t see him stop eating it, so I’m not entirely sure that I believe he didn’t like it! Now for the second exciting thing! A giveaway! 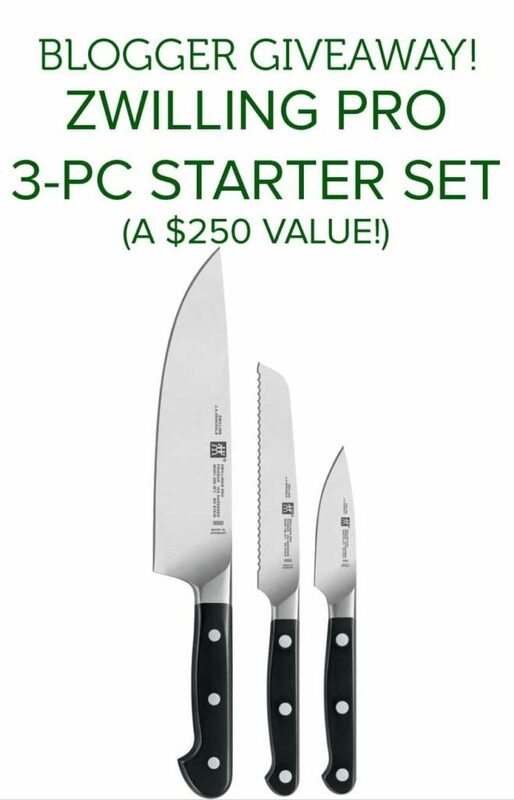 I’m teaming up with Zwilling US and a few of my blogger friends to celebrate Jacqueline of Go Go Go Gourmet’s 30th birthday. We will be giving away an awesome prize worth $250, a Zwilling Pro Starter Knife Set! Line 6 muffin cups in a muffin tin with paper or silicone muffin liners. In a microwave safe dish, place half of the chocolate, and microwave at 50% power for 2-3 minutes, stirring every 30 seconds, until the chocolate is fully melted. Divide this between the muffin liners, about one tablespoon per cup, using the back of a spoon to spread it over the bottom of the cup and up the sides a bit. Place an oreo on top of this layer of chocolate in each muffin cup. In a small bowl, using an electric hand mixer, whip together the peanut butter, butter, powdered sugar and brown sugar until smooth and well combined. Scoop out about a tablespoon of this mixture and place it on top of the oreo, pressing it down flat to cover the oreo. Use damp hands to do this if it’s too sticky to to with the spoon. In a new bowl, melt the other half of the chocolate and divide it between the cups, about a tablespoon per cup, smoothing it over the tops of the peanut butter mixture to cover it completely. Refrigerate for 30-60 minutes or until firm. Store in the refrigerator in a sealed container. Source: Adapted from these peanut butter eggs . My mouth is watering! I must try these! So good, seriously! Thanks so much Ellie! These look so ridiculously good! I love all of these separately, so together in one treat is just amazing! Pinned. That's what I figured, if they're good separately, they must be great together! :) Thanks Marcie, and thanks for pinning! These look delicious! I've been making more and more chocolate 'cups' lately and trying to come up with things to fill them with - now I will have to try Oreos!! You definitely have to try it - so good! Thanks so much Lisabeth! Oh my GOSH. Peanut butter cups and oreos all in one cup! I'm obsessed and crazy-drooling over here! The only thing I want you to give away are these PB Oreo cups, Stacey. I am not even kidding, not remotely. These are SERIOUSLY up my alley! Please can I have them all? Hahaha, sorry, they're all gone. But next time maybe! Because there will be a next time! :) Thanks Mir! These look heavenly, heavenly! 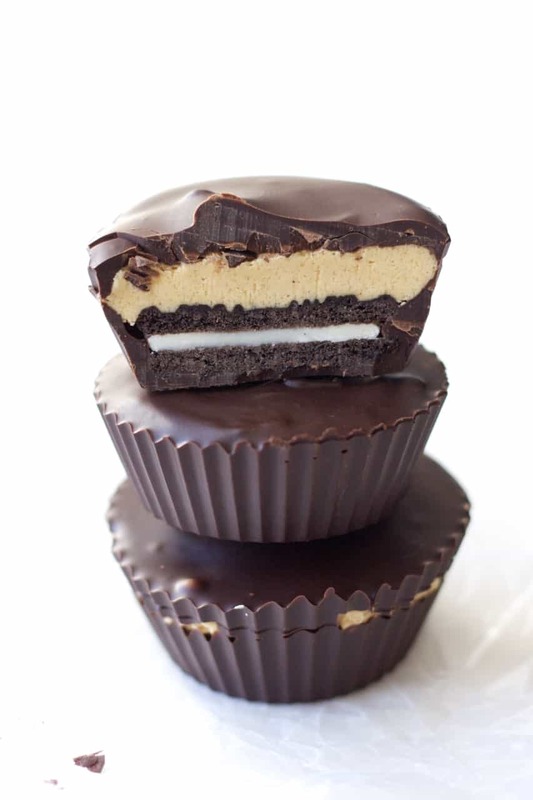 Oreos stuffed in a peanut butter cup sounds like the best thing ever! They look so decadent and delicious! Love them! This is what my dreams are made of. Oreos definitely belong in peanut butter cups! This looks so delicious and yay for your first giveaway girl!! Happy Friday Stacey! Love the idea of these cups! So creative, cute and delicious! Pinning! Thanks Mira! Have a great weekend! looks yummy! Umm oreos , chocolate, peanut butter, they all just belong everywhere! all mix and match are awesome! Love these stacey! Thanks Cyndi! Have a great weekend! These sound amazing, Stacey! I actually just made pb cups last weekend, but this oreo version blows mine out of the water! Love this! A peanut butter cup with an oreo inside! These seriously look so good. I love the texture contrast of the smooth chocolate, creamy peanut butter, and crunchy cookie! I loved them! Thanks Jen!